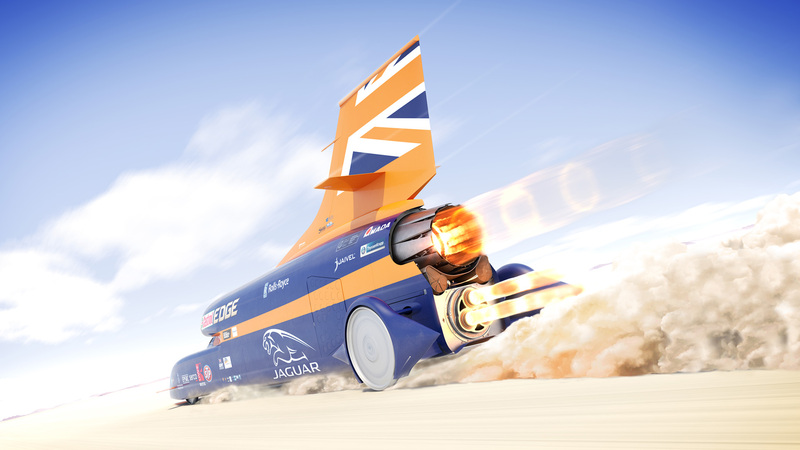 Bloodhound SSC is the British land speed record attempt, with the aim to inspire the next generation in STEM (Science, Technology, Engineering and Maths). Working with production partner Flock London, I have worked on various CGI promotional films and still images for press use, with the endeavour to educate, entertain and inspire. 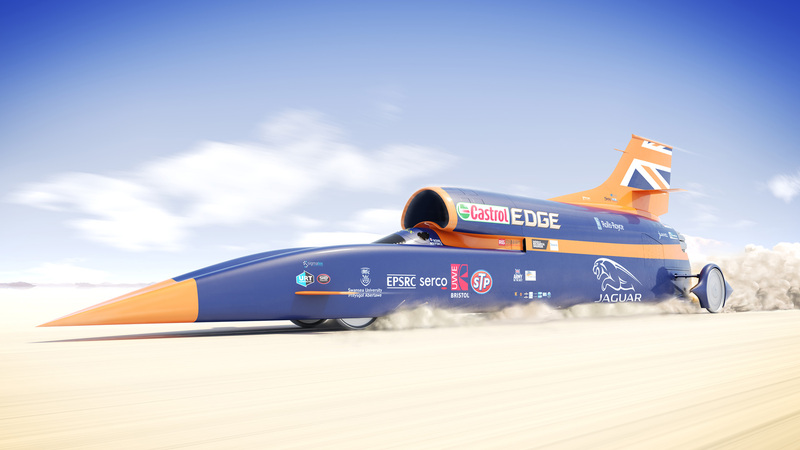 During the projects, we developed an incredibly efficient workflow to convert Bloodhound’s CAD data into polygons that we could use for rendering. This saved weeks of modelling time, and allowed us to produce a truly accurate representation of the car on the Hakskeen Pan in South Africa, before it had even been built.